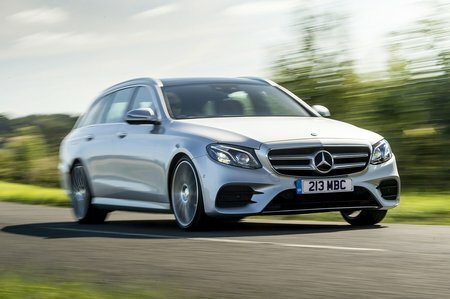 Mercedes-Benz E-Class Estate Interior, Sat Nav, Dashboard | What Car? The driver’s seat is electrically operated and has plenty of adjustment, as does the steering column, for height as well as reach. It’s not all tickety-boo, though: adjustable lumbar support is an optional extra on the entry-level SE models; the driver’s footrest isn’t large enough to rest your left foot comfortably if you have big feet; and tall drivers may find the top of the dials obscured by the steering wheel. 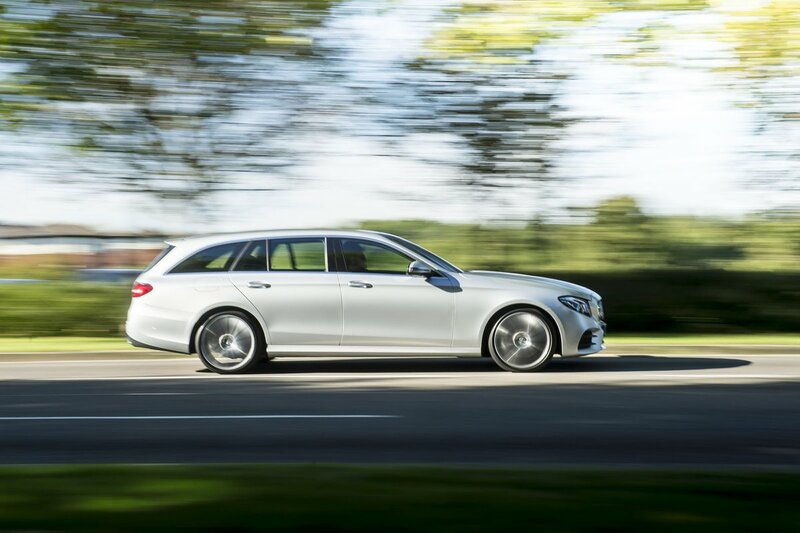 The E-Class Estate is relatively easy to see out of, though, and any concerns that it's difficult to judge its extremities are addressed by front and rear parking sensors and a rear-view camera. There's also a parking assist function that’ll select a suitable space and steer you into it. The dashboard buttons are instinctive to locate, and everything inside looks thoroughly swish and modern. The ambience is lifted by chrome highlights and ambient lighting, and certain models bring a leather-trimmed dashboard and wood or carbonfibre veneers. It's rather a shame that some of the panels feel a bit flimsy – the one that contains the face-level air vents, for example, flexes if you press it. The E220d has an 8.4in infotainment screen with Garmin sat-nav and Apple CarPlay and Android Auto smartphone mirroring, but we’d recommend adding the optional Comand Online navigation system (standard on the E400d and E300de), which brings a larger, 12.3in screen and more features. If you combine this with the separate option of a 12.3in screen in place of the analogue instruments, you effectively get one long, configurable digital display that puts plenty of useful information right in front of you. Even better, you can add a head-up display that puts speed, navigation and speed limit warnings right in your line of sight. You operate both infotainment systems via a rotary control on the centre console, complemented by a touchpad on the Comand Online system. It’s a better interface than Mercedes’ previous efforts, thanks to sharper graphics and more intuitive menus, but still not as responsive nor as easy to fathom as the best systems on the market – most notably BMW’s excellent iDrive in the 5 Series Touring.